Let's face it; DevOps people are always in a hurry. They're not interested in wasting time on routine tasks, have zero patience for poor UX and would prefer not to even reach for their mouse! 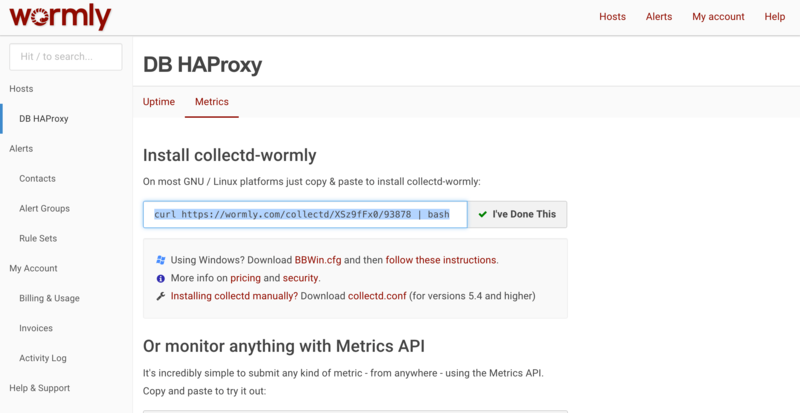 Wormly was built by DevOps fanatics, which is why you'll find comprehensive shortcuts in every part of the app, and a super fast search tool to navigate across all monitoring targets and reports. Why do over 40% of companies who try Wormly sign up for a plan within 30 days? It's Rock Solid. Over 14 years of continuous improvement ensures our global monitoring network never fails. Faster. 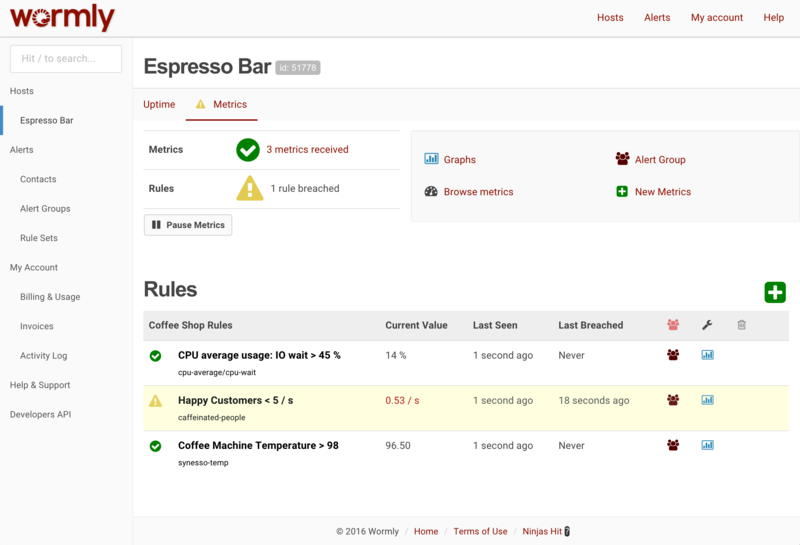 No apps to install and a fanatical UX focus means Wormly is faster and more responsive. 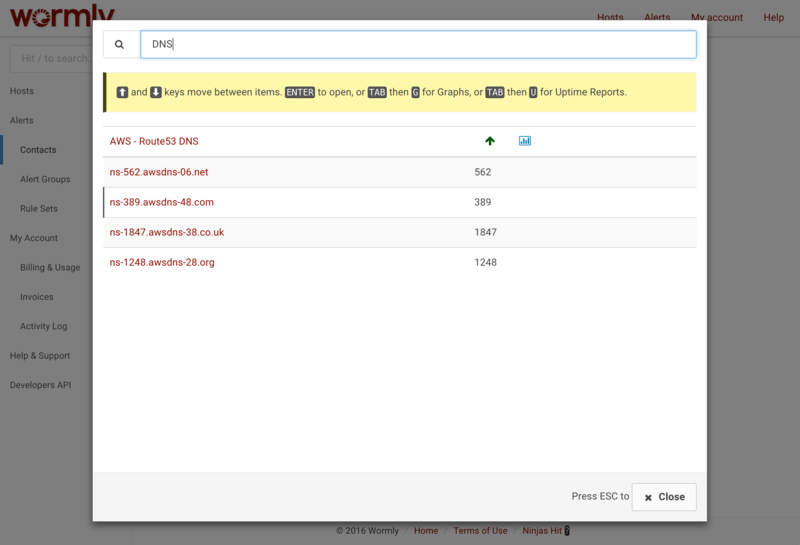 Even SPDY keyboard-ninjas are impressed! More Comprehensive. 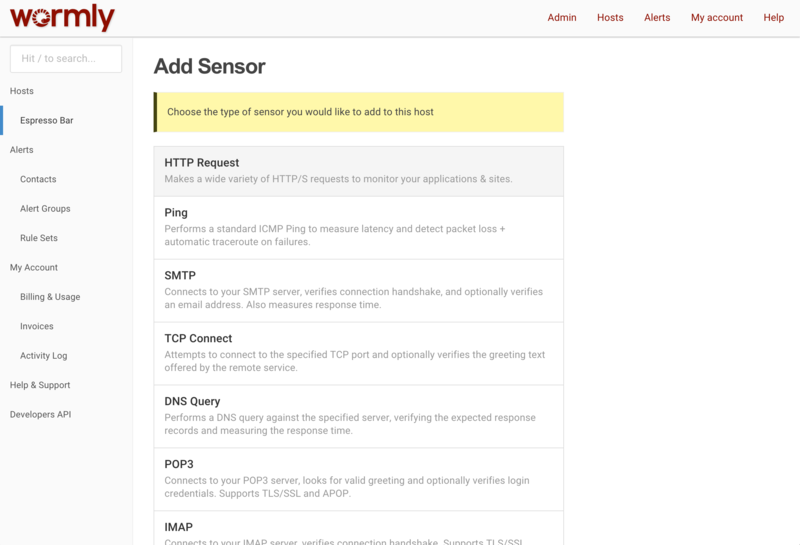 We've already solved your monitoring problem, be it Apache Monitoring or Nginx Monitoring, Postfix / SMTP Monitoring even if you need to monitor TCP connections or just monitor any custom metric. 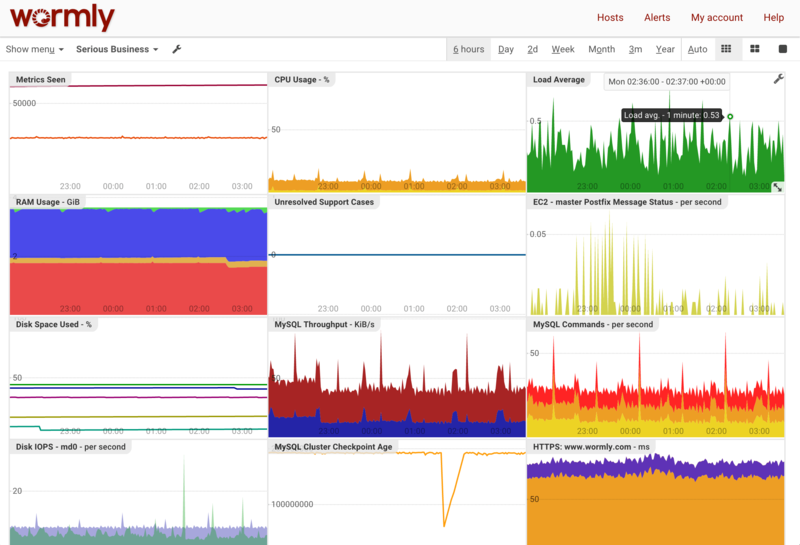 When you have a large team monitoring many critical systems, it's all too easy to descend into a flood of uncontrolled alerts. 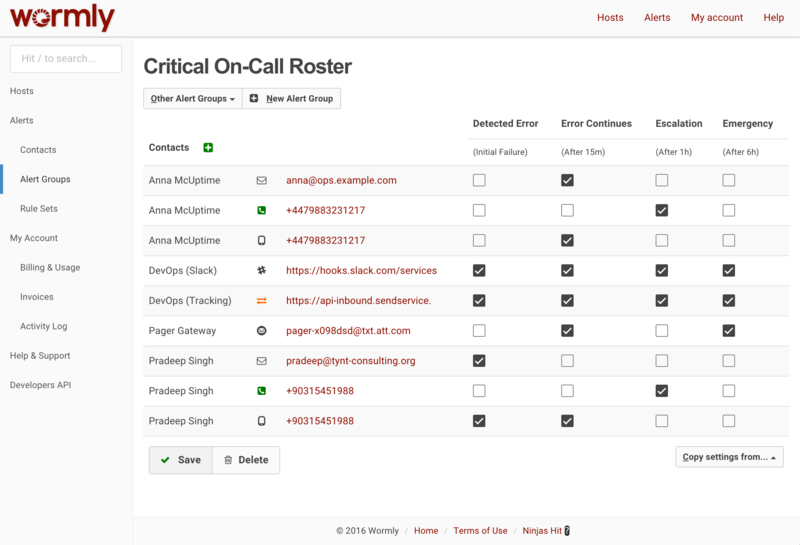 Our Alert Rosters provides an easy-to-understand method for escalating alerts to different people when a failure continues unresolved. 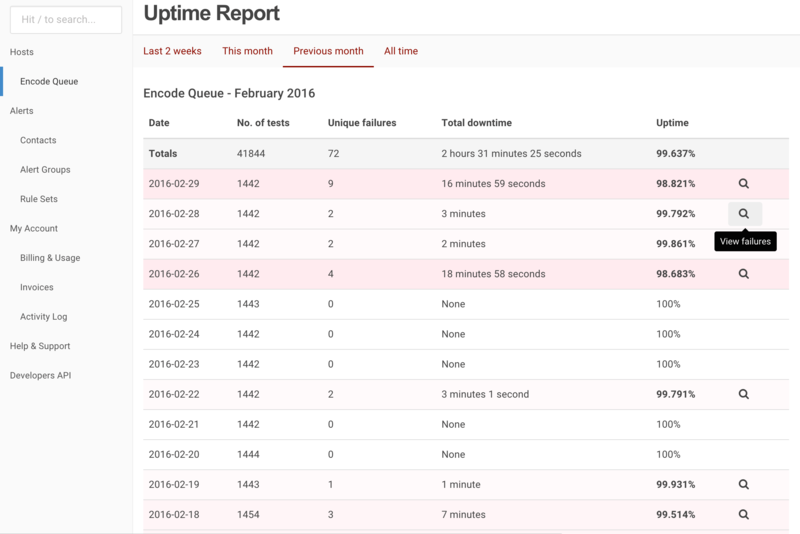 It integrates with Alert Groups so you can use the same escalation schedules for both Uptime and Metrics (Server Health) Monitoring. 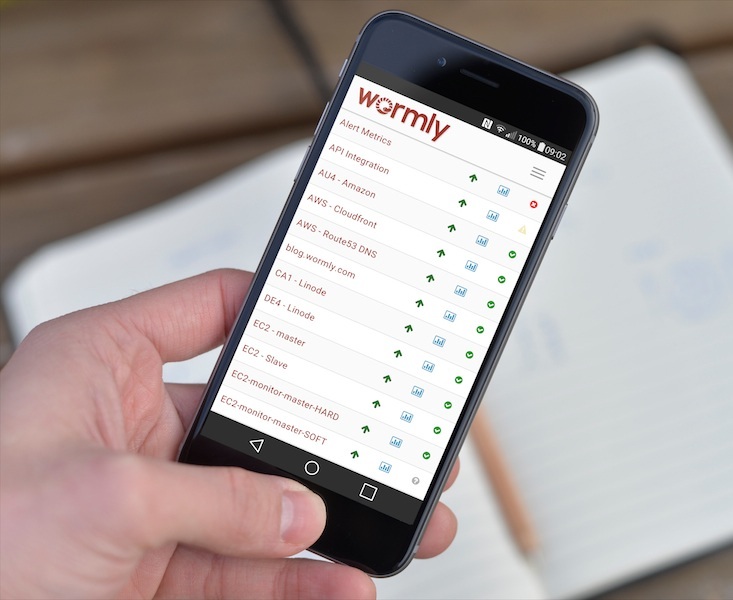 “I just wanted to say thanks for the awesome SMTP testing tool on Wormly, it has been incredibly useful over the past couple of days.